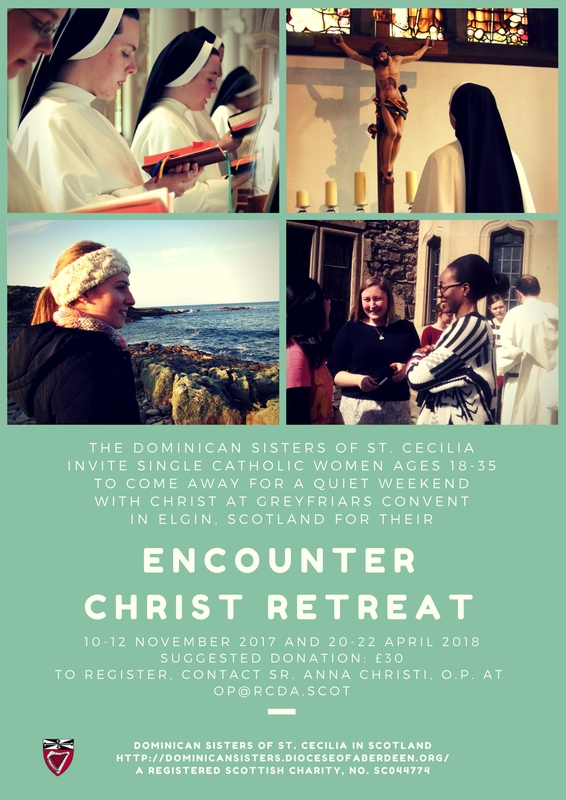 The Dominican Sisters in Elgin, Scotland invite young women ages 18-35 for a weekend of prayer, fellowship, talks, rest, and fun at Greyfriars Convent. This is a great retreat for young women who are looking to develop their friendship with Christ, meet other women striving for holiness, and receive spiritual support and guidance. These retreat will be held 10 – 12 November 2017 and 20 – 22 April 2018.